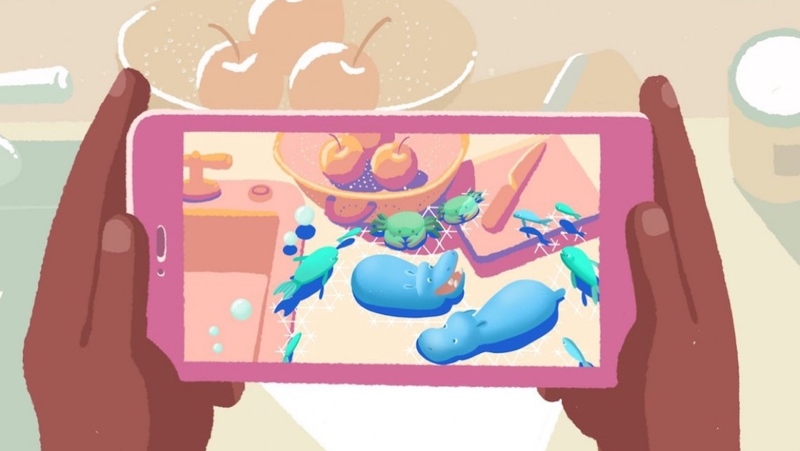 With the race to augmented reality supremacy hotting up, Google has further bolstered its selection of apps and games for its ARCore platform. Announced at GDC 2018, the company revealed that over 60 apps are new to the Google Play Store, adding to the options already at the disposal of Android smartphone users. For those who need to get up to speed — ARCore is essentially Google's answer to Apple ARKit, providing a platform for developers to build AR experiences. The current technology utilises a smartphone's camera while overlaying virtual objects into the real world, though this, naturally, is quickly expanding to the likes of AR smartglasses. The most recent development in the story also came just a few weeks ago, when Google launched the ARCore 1.0 SDK to developers, and, in turn, brought the platform to roughly 100 million devices. So, which new apps can people now get involved with? Well, announced were AR experiences from the likes of eBay, Tamagotchi, The Walking Dead and Pottery Barn, showing the broad scope for the kind of games and apps we can expect to see hit the platform. And, more generally, this is a move that pushes Google ahead of Apple, since ARKit has yet to see the same influx of apps hit the platform — only 20 are currently available on this iTunes page. Expect to hear more when Google I/O kicks off in early May, and also expect Apple to once again emphasise AR and bridge the gap at WWDC 2018 in June.